For my last year at Loyola, I decided to move off campus and take advantage of other areas of Chicago. My friends and I finally decided on an apartment less than one block from Wrigley Field. So far, SO GREAT. A lot of people have asked me if it gets annoying having to make the commute to campus everyday for class. For me, it’s no problem at all. The 15-20 minute ride on the train gives me some extra time for leisure reading, listening to music, or cramming for that test I put off studying for. It’s been a good transition period between waking up in the morning and having to concentrate in class. Not only that, but I’ve gotten the chance to know more than just Roger’s Park. Lakeview has treated me to good shopping and great food, most of which fit into my struggling-college-student budget. If anyone is ever in the area, stop by Lucky’s for a sandwich – you will not be sorry! But it hasn’t all been sunshine and rainbows in my new life of commuting. Occasionally, the city likes to spring surprise construction projects on me. Take it from someone who’s been late to more than a couple of classes, our beloved el train is not always dependable. When you live on campus, getting to class simply means timing out your walking pace. Unless there happens to be some act of God, getting to class is a pretty standard routine. But as a commuter, I am at the mercy of the gods of the train. I started off my last semester of college being almost 30 minutes late to class because the north-bound train didn’t stop at Addison. It was a less than ideal situation. So my advice for any Loyola student who is considering moving off campus is to weigh the pros and cons. Overall, I think living in Lakeview is fantastic, and I would encourage anyone to do the same. 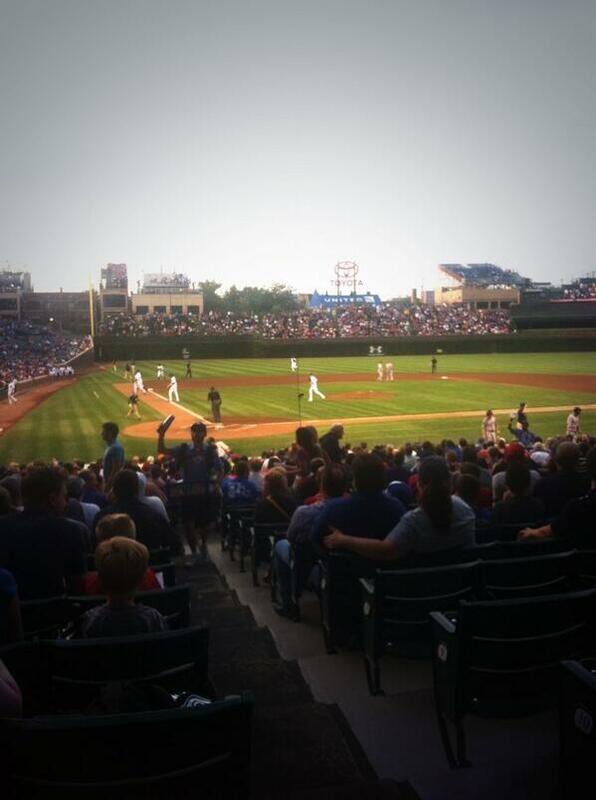 Sadly, I went to my first Cubs game as a senior in college. (I know… it’s embarrassing…my baseball superfan father couldn’t fathom it) But… Wrigley field was just as awesome as everyone says it is!! My friend got free Cubs tickets for my roommate and I. The seats were great, right near home plate! I really liked the atmosphere at the game. Everyone was all decked out in Cubs gear and having a great time. 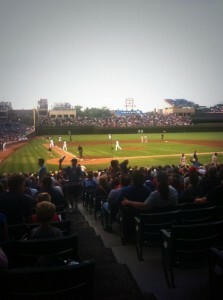 All in all, the Cubs game was a blast!! However, my heart is still with my Cleveland Indians.